View our fabulous collection of luxury velvet fabrics, online or in store. Ladies and gentlemen, behold the beauty of the crushed velvet corner unit complete with the ability to turn the humble home into the lap of luxury; just perfect for the king or queen you are at heart. Choose peacock blue to make your hearts sing or emerald green velvet sofas that have us cooing with contentment. Jewel colours are the perfect pairing for velvet; imagine rich ruby reds on a classic chesterfield, oozing with statement style. But if brights aren’t your bag, a neutral, grey velvet or even crushed velvet sofa can be equally elegant and offer up plenty of timeless features. A corner unit is the perfect place for families to snuggle up and can be a particularly practical choice too. Our in-store design consultants can point you in the direction of a luxury couch that’s paw-print proof or a luxuriously thick-piled fabric that is easily wiped clean of jammy hand prints and red wine spills. Discover beautiful British handmade velvet furniture. 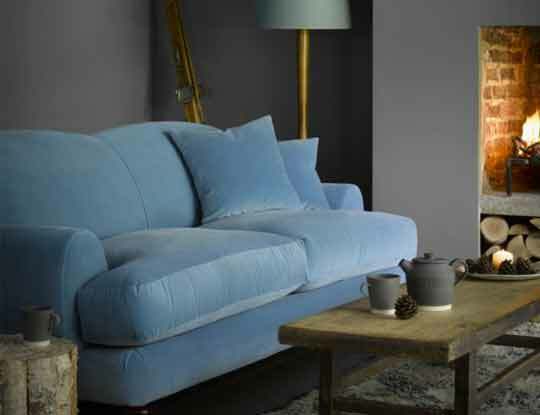 Order your free velvet samples online and create your perfect velvet sofa. A velvet sofa bed will offer up a warm welcome to any waifs and strays that may come your way but if you’re not feeling like sharing, your own personal velvet armchair could provide a place of solitude and contemplation. 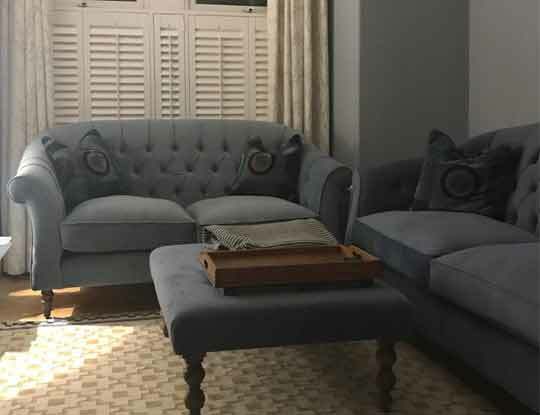 Whatever style your lifestyle demands, we can help you find your perfect match, we could even create you a dream velour settee, thanks to our any fabric in the world offering. Pop into your nearest showroom and Let’s Design Together. Why not order some free velvet fabric samples pack, so you can see the high quality velvets we offer.